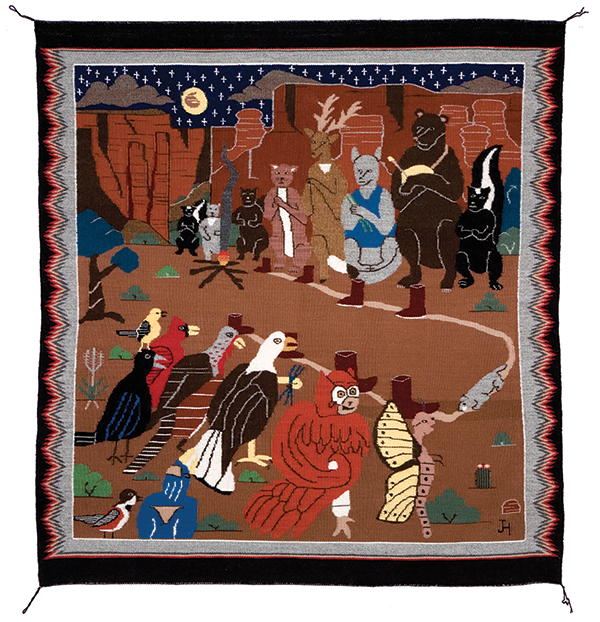 The Heard’s collection of Navajo pictorial textiles runs rich and deep. The many ways in which the weavers’ creativity and imagination have been woven with technical mastery will be showcased. 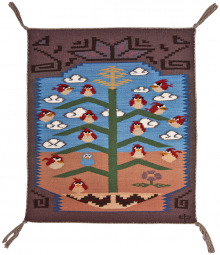 Many weavers draw on important imagery from the Navajo culture, while others work in a popular folk-art style that infuses images from the modern world into a distinctively Navajo perspective. 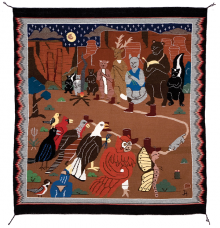 Textiles by the family of Louise Y. Nez (Navajo), one of the leading families of Navajo pictorial weavers, were featured in this exhibit. In addition to those by Nez, weavings from her daughters Florence Nez Riggs, LaVerne Nez Greyeyes and Jane Hyden will be displayed. Family members will also participate in a special demonstration of the art of pictorial weaving at the 55th Annual Heard Museum Guild Indian Fair & Market, March 2 & 3. Also included in the Picture This! exhibit were several examples from the gift of Navajo weavings donated to the Heard in memory of Dr. Doren Indritz of Scottsdale. 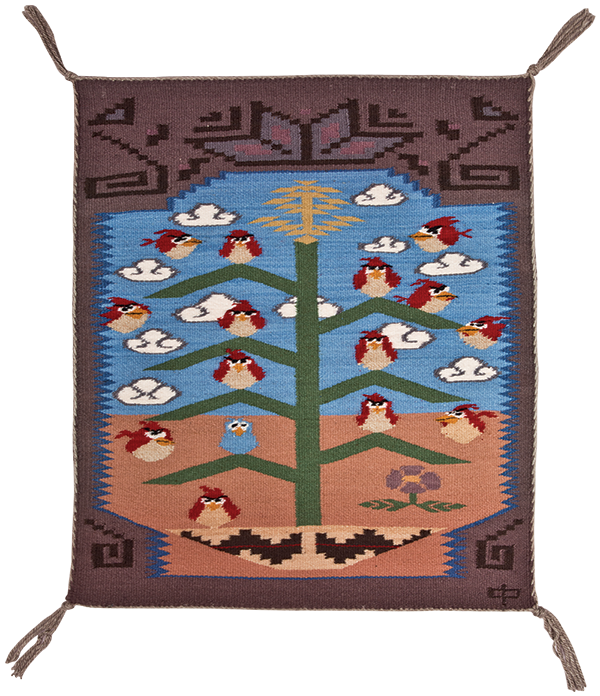 Marlowe Katoney (Navajo), "Angry Birds – Tree of Life" pictorial textile, 2012, 26 x 23 inches. Heard Museum purchase, 4718-1. Jane Hyden (Navajo), "The First Shoe Game," 2008, 45 x 42.25 inches, 4544-1.